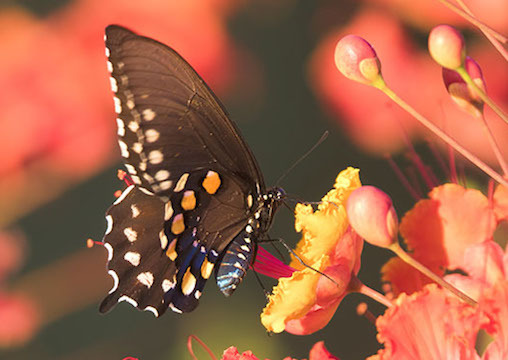 Pipevine swallowtails Battus philenor are one of several species of large, colorful swallowtail butterflies in North America, including the common and widely distributed tiger swallowtail. 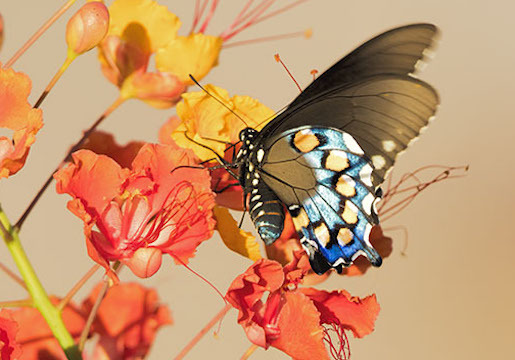 They are darker than most swallowtails, with a blue-green cast to the upper surface. 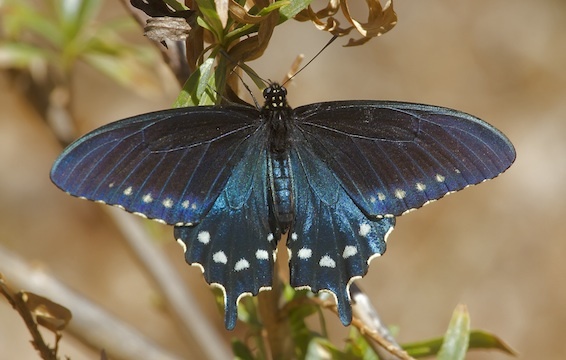 There are white spots on the upper wing surface; this is a female since there are spots on the forewing as well as the hindwing (the underwing has some large, brilliant orange spots). These paused very briefly in a canyon in southern Arizona, and at a roadside rest stop in the southeastern California desert.